Make a game! Work in teams or alone for two weeks. Have fun and chill. Any team size, 1 to infinity. You can work on multiple teams! You can include your submission in other online game jams! You can make a full video game, a prototype, a demo, a card game, a board game, anything you want! You must credit anyone who worked on your game and any public domain assets. 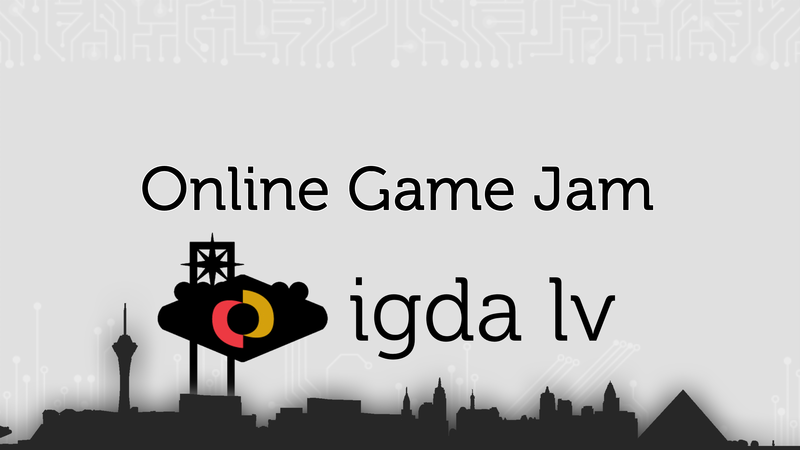 If you need some inspiration, watch some IGDA Las Vegas presentations! We also recommend Game Maker's Toolkit, Extra Credits, GDC, Snoman Gaming, Razbuten, HeavyEyed, Design Doc, NakeyJakey, Writing on Games, Adam Millard, and Cagey Videos for additional game design analysis video content! If an extenuating circumstance prevented you from uploading in-time, please reach out to Gunnar Clovis#2913 on the IGDA Las Vegas Discord and we may be able to provide you with a special link for a late submission. If you have questions, ask us on our Discord!